Strawberries are a firm favourite in the summer months and strawberry ice cream is a classic that is hard to beat. Strawberries go very well with mint, so think about incorporating some of this fresh herb into your strawberry ice cream. For more grown-up palettes, you could also consider adding a dash of balsamic vinegar, which can really bring out that strawberry flavour. You may be surprised to learn that basil also goes extremely well with strawberries. For something a little bit different, you could consider making a basil ice cream, which is delicious when served with a simple strawberry sauce. Raspberry ripple ice cream is another firm favourite, and you may have plenty of raspberries to pick over the summer months. Raspberries work very well with simple vanilla – remember that you might even be able to grow vanilla in your polytunnel. For a decadent treat, you could also add some white chocolate chunks to your raspberry ripple ice cream. Not all ice creams have to include fruits. You may be surprised to learn that you can also use vegetables in your home-made ice creams this summer. One of the delicious recipes that uses carrots is a carrot cake ice cream – which blends many of the flavours of a traditional carrot cake – carrots (in the form of a purée), brown sugar, raisins or other dried fruits – perhaps some nuts or even, for grown-ups, a dash of rum – with an ice-cream base. Adults may also enjoy a sophisticated and luxurious ice cream which blends beautiful, sweet roasted beetroot with goats cheese. A beetroot and ginger ice cream also works extremely well if you are looking to impress your guests with something extra-special this summer. 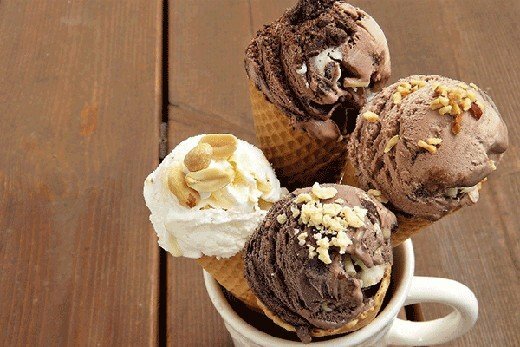 These ice cream ideas are just the beginning! Check out our other recipe ideas to decide what else to serve throughout the year. No matter what month, your polytunnel can provide plenty of food for you and your family and friends. Do you have a favourite ice cream using polytunnel-grown produce? Let us know your own ideas in the comments below.